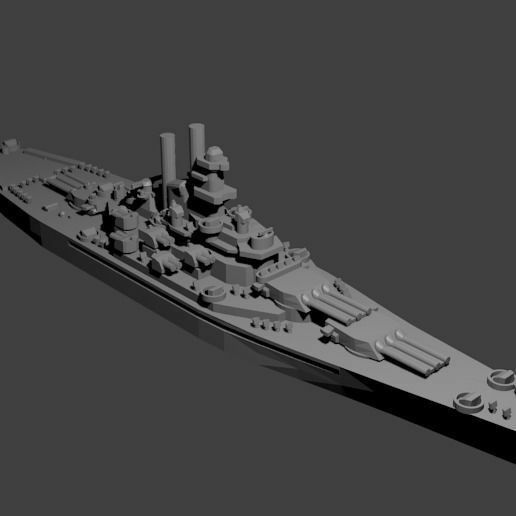 1/1800th scale Worcester Class Cruiser model. Certain elements not to scale. The Worcester-class were a set of light cruisers ordered by the US Navy during WWII. They did not enter commission until 1948. Ten were originally odered, but only two were completed, with the remaining being cancelled. They carried twelve six-inch dual purpose guns and thirteen three-inch dual purpose guns. This is part of my collection of Cold War warships, keep an eye out for more to come.